Traditional Chinese medical cosmetology focuses on the integrity of beauty treatments, which means that the face is intimately linked to the (Zang-Fu) organs and meridian system. Face is a window on the health condition of the human body. According to traditional Chinese medical cosmetology, the heart dominates the blood vessels and its essence manifests on the face. Face is the place to which the Qi and blood of the zang-fu organs shoot upward and thus enjoys much blood circulation. Traditional Chinese medical cosmetology also believes that different parts of the face belong to the five zang-fu organs, i.e. the left cheek belongs to the livers, the right cheek the lungs, the forehead the heart, the chin the kidneys, and the nose the spleens. The face has a very close relation with the channels and collaterals in the zang-fu organs in general and the heart in particular. Therefore Traditional Chinese medical cosmetology is focus on holistic, it interrelating facial appearance closely to Zang-Fu organs , meridians , qi and blood circulation. Using different ways including Chinese herbal internal use and external use, acupuncture, massage, dietary therapy make the circulation unobstructed and smooth. Traditional Chinese medical cosmetology is safe and reliable, it can apply to various of problems and has long effect duration. 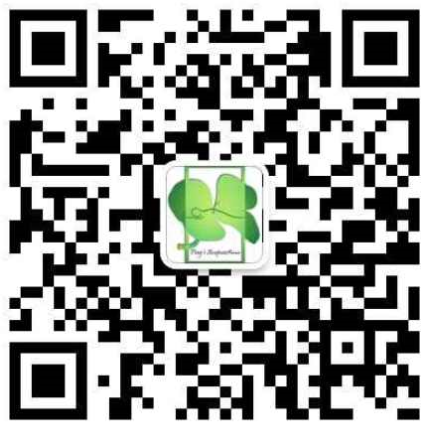 Chinese herbal medicine, meridian and medicinal diet. As the face is exposed on top of the human body, it is usually the first victim when the six climatic evils which cause diseases (i.e. wind, cold, summer heat, humidity, dryness, and fire) assault the human body. When the climatic evils attack and our protection is insufficient, the skin is likely to become rough, hard and aged. Exposure to strong sunlight, in particular, will make the skin age. Besides, bad habits and unhealthy postures are important causes of early aging of skin. Try to avoid exposing to strong sunlight, quit smoking, drink less, and correct unhealthy postures, such as frowning, propping one’s chin in one’s hands, narrowing one’s eyes, whistling, sleeping with one side of face close to the pillow, etc., all of which will deepen the wrinkles on the face and accelerate its aging process. Chinese herbal medicines can beautify and whiten skin, reduce melanin and wrinkle, supplement moisture and nutrition to enhance the growth of new cells and strengthen skin firmness. Chinese herbal medicine facial masks are made of different valuable herbs and honey. It can form a coating on the face after applying proper amount onto face and neck. As masks become dry slowly, a special affinity can be produced between masks and the face. At the same time, the temperature, the microcirculation and tenseness of the skin increase. Therefore, the pores of the face will be open to excrete sweat and dirt, and herbs from the masks will penetrate the skin to promote cells metabolism, accelerate to decompose melanin, fade spots, and make skin moist, white and clear. 1. Beautify and whiten skin, reduce melanin, supplement moisture and make skin white, delicate and elastic. 2. Strengthen skin firmness, weaken and reduce wrinkle. 2. Repair the damaged cells. Meridian cosmetology includes acupuncture, moxibustion and massage. The purpose of acupuncture is to dredge meridian, and promote blood circulation. Moxibustion can stimulate acupoints, adjust functions of various zang-fu organs, and promote the qi and blood circulation to dredge meridian and guards the body against exogenous evils in order to slow the aging process of the skin.